These are the best tie-downs for motorcycles, quads, utv's, atv's, Rhinos, trucks, etc. Anywhere you can loop them on. Just loop, snap together and tighten. Will not wiggle loose! Great Harley Gear Tie-Down for the Ladies! 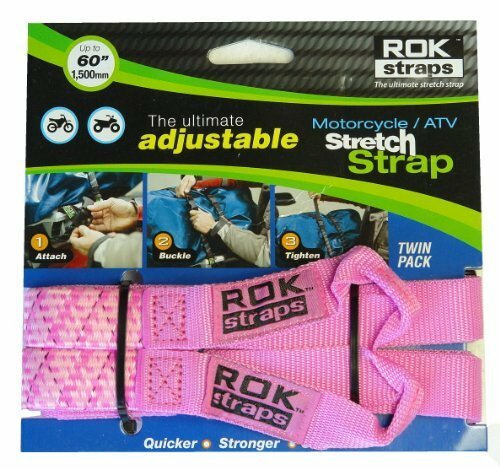 If you have any questions about this product by ROK Straps, contact us by completing and submitting the form below. If you are looking for a specif part number, please include it with your message.